Another month means another Nailbox.... and my god did Nailbox out do themselves this month! For the first time the box contents was a complete surprise; the only clue was the theme of tropical treats. 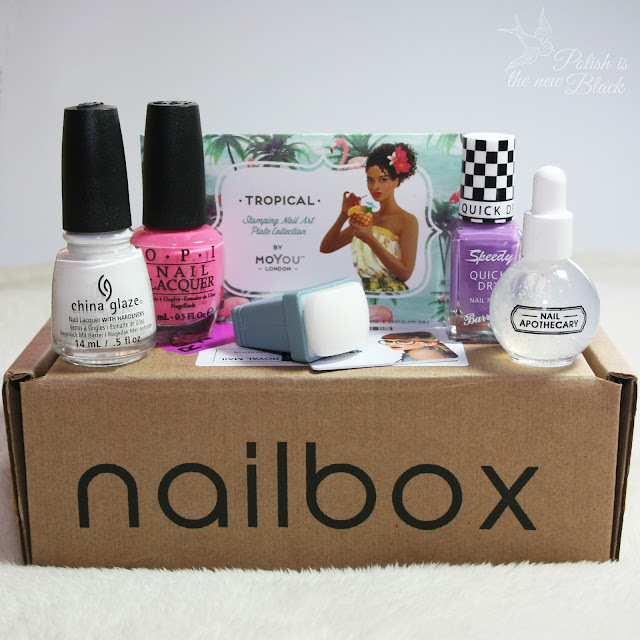 I've loved the past three boxes I have received (you can read my reviews HERE, HERE and HERE) but this month Nailbox really upped their game and I hope they continue the themes for future months. China Glaze White on White. OPI Kiss me I'm Brazilian. Barry M Need for Speed from the Speedy Quick Dry range. Moyou london Stamper & Scraper set. I was completely overwhelmed with the contents considering the box only costs between £13.50-£15 a month depending on your subscription length. I personally signed up for 6 months so all of this cost me just £14! You really cant argue with that when you consider the price of these items individually. This is just the most girly pink polish ever! I used this for the mani in my previous post HERE and I just love it. The formula as with everything from OPI was amazing! Shown here is two coats topped with top coat. A classic white polish. Granted I have a few whites in my collection: OPI, Essie and Ella + Mila. However, I didn't have China Glaze. Pretty good coverage; opaque in 2 coats as with my other whites generally (still in search for that perfect one coat white) the struggle is real! I only recently added some of the Barry M speedy range to my collection; I know I'm late to the party but I seriously love them! This is my fourth polish and I really love the shade of purple. The formula was great and it was opaque in 2 coats. A nice little addition to the box; you can never have enough nail care items. 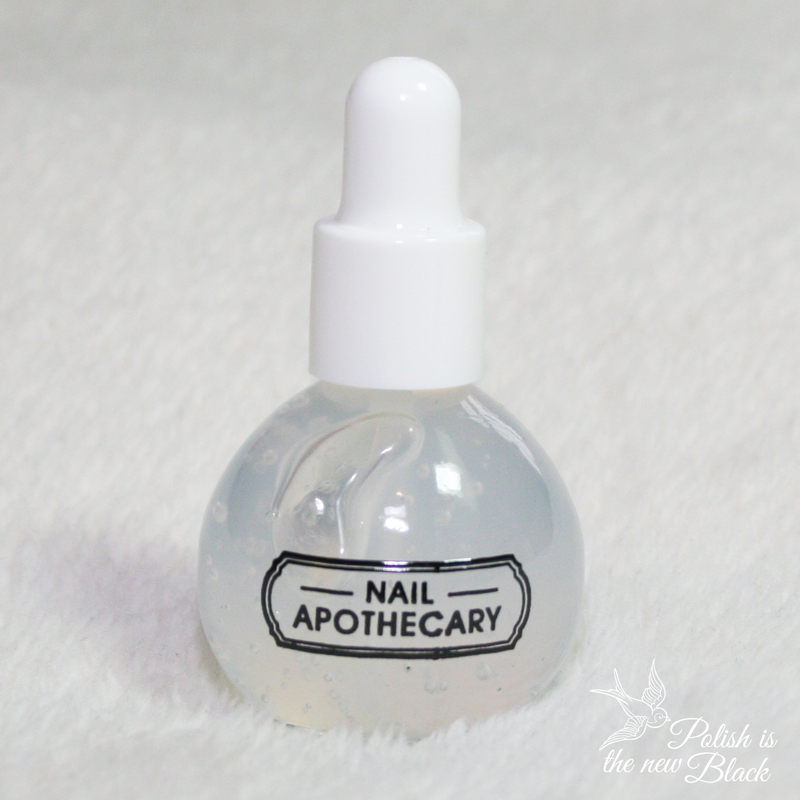 I found this worked similar to the Sally Hansen cuticle remover I currently use except this has a brush applicator. You simply brush around your cuticles, leave it for a couple of minutes and push back your cuticles. I was very happy to receive a Moyou plate in the box. I seriously love these plates; I have a few of them now but none from the tropical collection til now! All the plates I have so far have been the XL versions as I've always been skeptical if the smaller sized images would cover my nail. On the most part this plate was fine for my nails; the only nails that were too big were my thumb and index finger (although the palm trees fit rather perfectly on that nail). Another stamper to add to my collection! I seem to be a bit of a stamper hoarder at the minute... I now have stampers from Konad, Creative Shop, Fab ur Nails and now 2 from Moyou. This may seem a little excessive I mean surely they all do the same job? Well yes in theory, but they are all very different from each other. 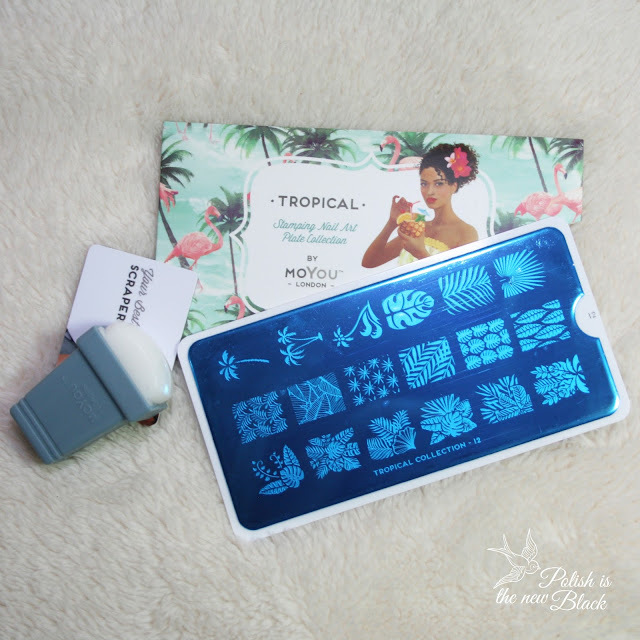 The new Moyou stamper was very squishy and much more sticky than all of my other stampers. I tested it out in a couple of different manis and it stamped perfectly for both straight out of the box (no priming needed). For the sake of not making this post any longer I will create a new post for the stamped designs I created. My favourite box so far! I honestly truly loved everything in the box, there wasn't one thing I was even slightly disappointed in this month. I loved the bright polishes; all had great formulas and were opaque in 2 coats. 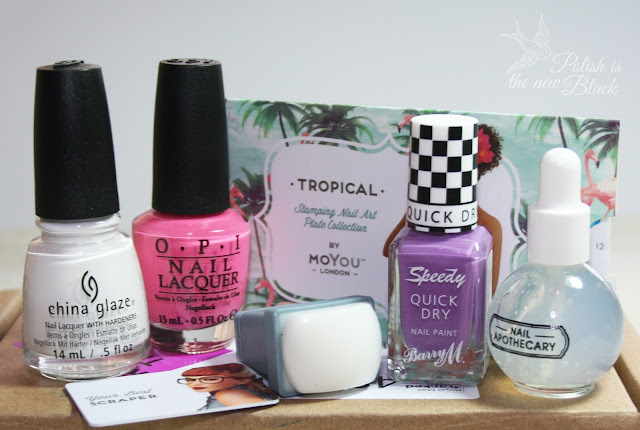 The cuticle eliminator was a nice nail care addition and the Moyou items were possibly my favourite part of the box over all.Well worth the cost considering the contents and I loved the theme idea this month. I really hope they keep it up! Have any of you tried the box? What do you think of it? It really is gorgeous! Thanks!